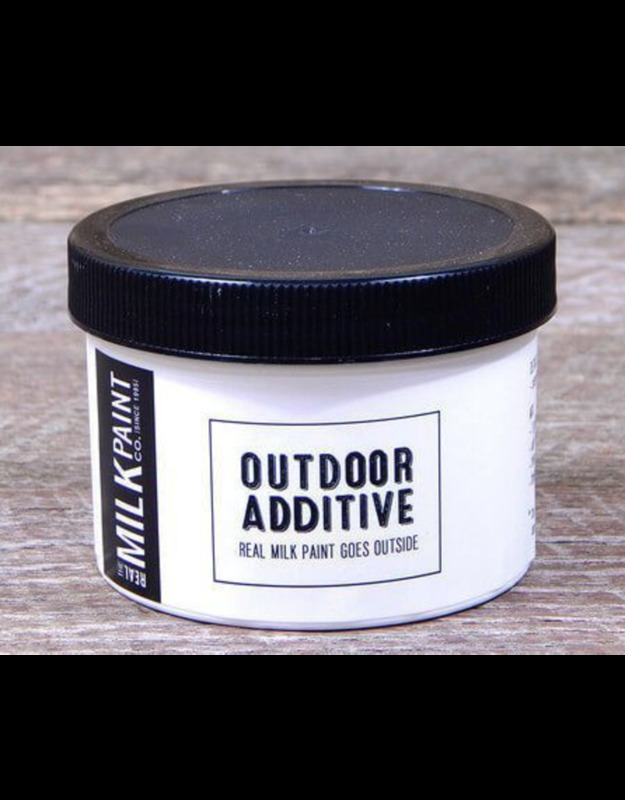 “Outdoor Additive” by The Real Milk Paint Company is a borate compound, similar to borax. Borax can be found at the grocery store as Twenty Mule Laundry Booster. It is mined from the ground mainly in California. Borax is safe and non-toxic and has multiple uses. 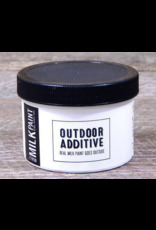 “Outdoor Additive” is a slightly modified borax compound that is very finely milled, so that when added to the paint it remains smooth. Real Milk Paint® with “Outdoor Additive” is suitable for exterior porous surfaces such as wood, concrete, brick and stucco. It should not be used over existing paint. The paint would need to be removed first. 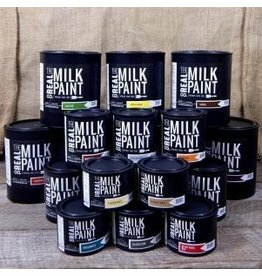 Real Milk Paint® with “Outdoor Additive” will not blister and peel like modern paint but will act as a sacrificial coating that will gently wear away with time. The way paint is supposed to work. Now Real Milk Paint® can be used on your outdoor projects. Having an old house built in 1892 with original wood clapboard siding and windows, I wanted to use a period appropriate paint for the restoration. While milk paint does work well outdoors as is, adding “Outdoor Additive” makes the paint even more superior and is one of the best wood finishing products that you can use. Tannin Stain Blocker – blocks stains from coming though the paint on woods such as cedar and knotty pine. U.V. light protection – inhibits ultraviolet light from destabilizing the paint film. Mold Inhibitor – inhibits mold from developing (used at recommended level). Flame Retardant – helps to control and reduce the spread of flames. Bactericide – will not promote the growth of bacteria in liquid paint. When dry, there may be some chalky look. This will wear off the paint as it weathers.